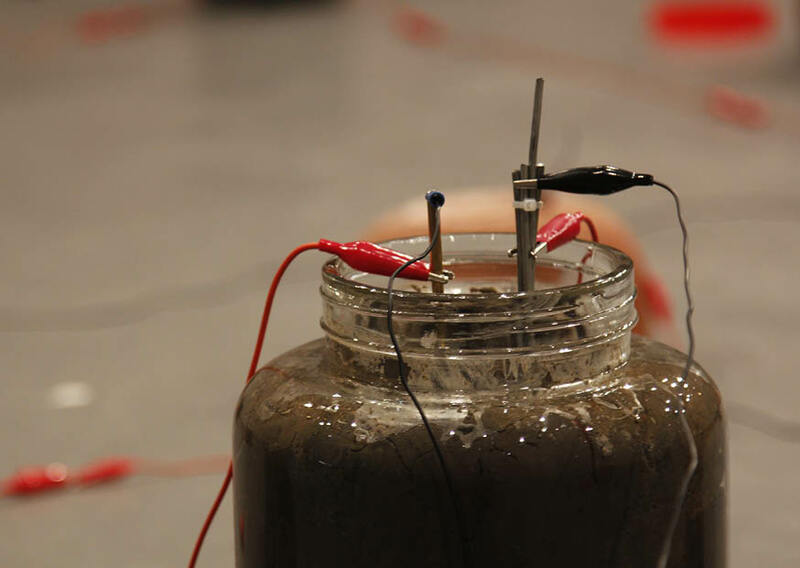 Sound of the Earth is an experimental sound installation that harnesses the power of wet soil from Seletar, in Northern Singapore, to produce sound. By using pairs of electrodes made of different metal the artwork collects the small Telluric electrical currents that are used to vibrate two small plates against each other. The hammering sound is amplified by clay bowls made from the same soil and fired in a kiln.